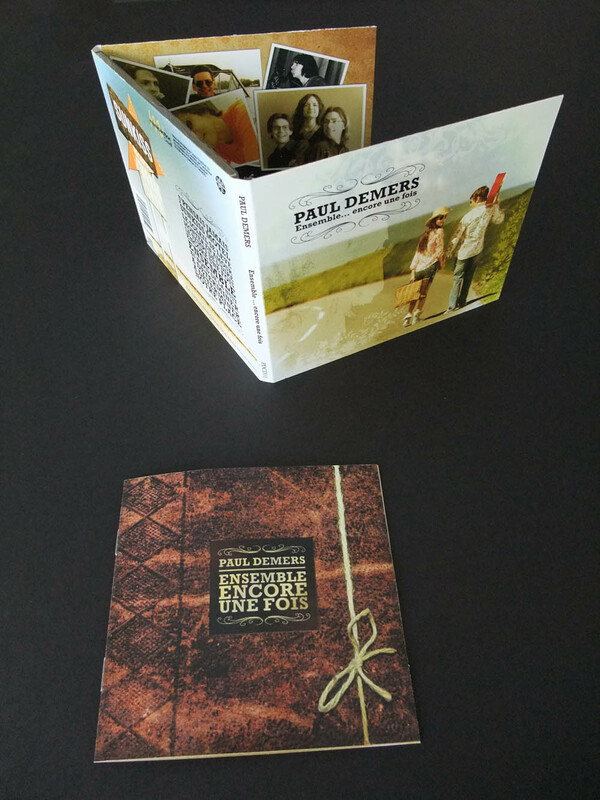 Here is the final product available in stores and at pauldemers.ca. 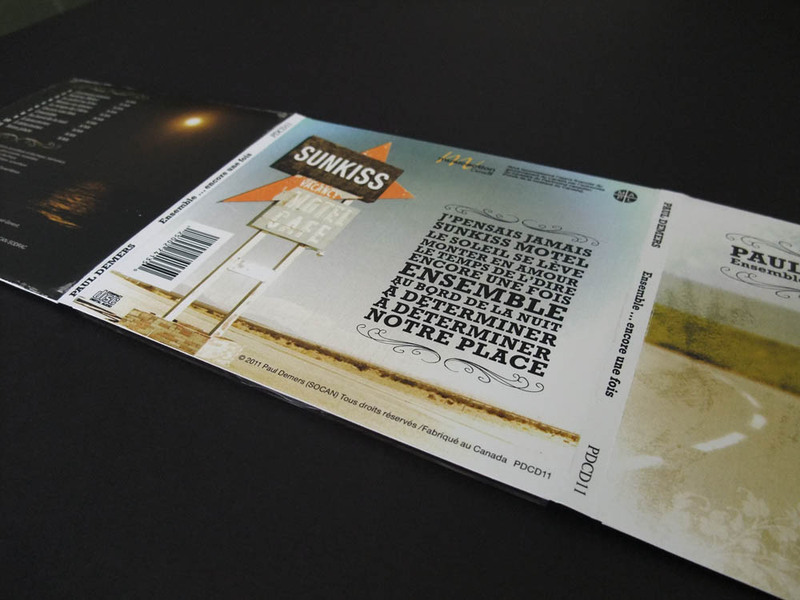 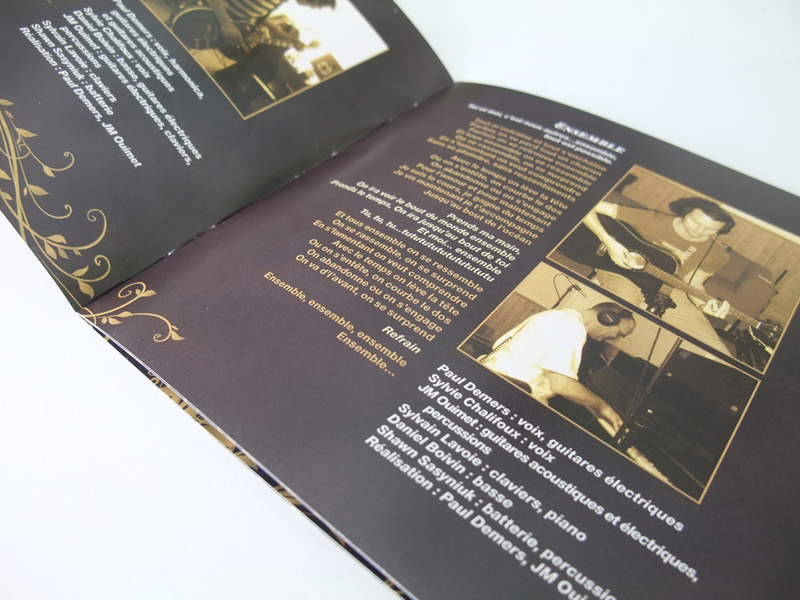 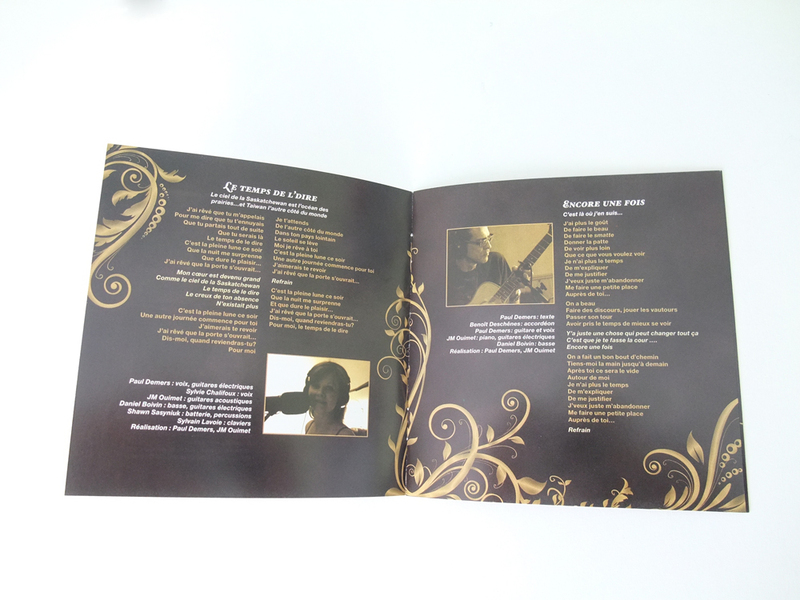 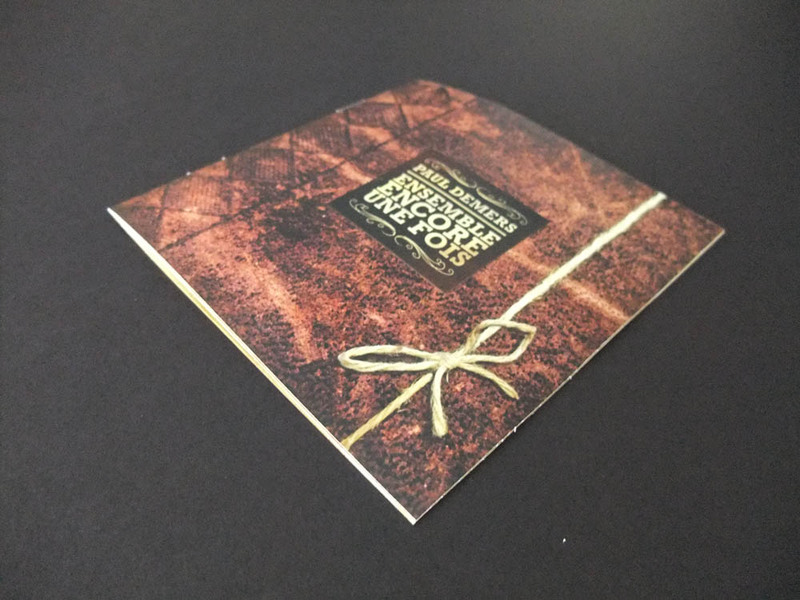 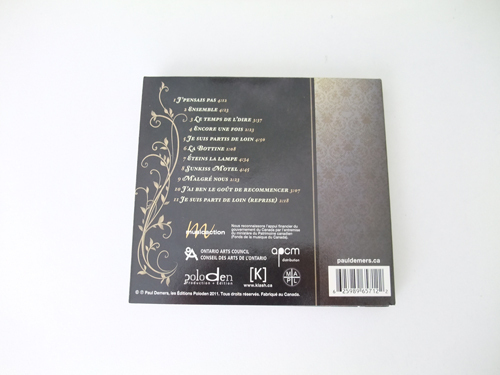 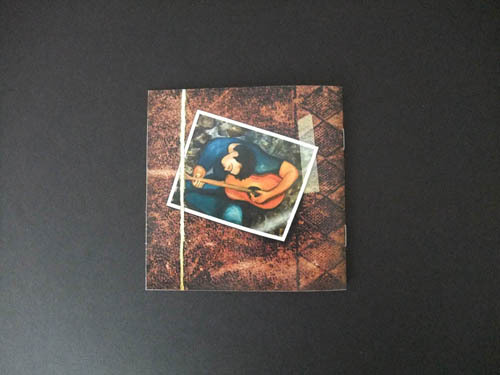 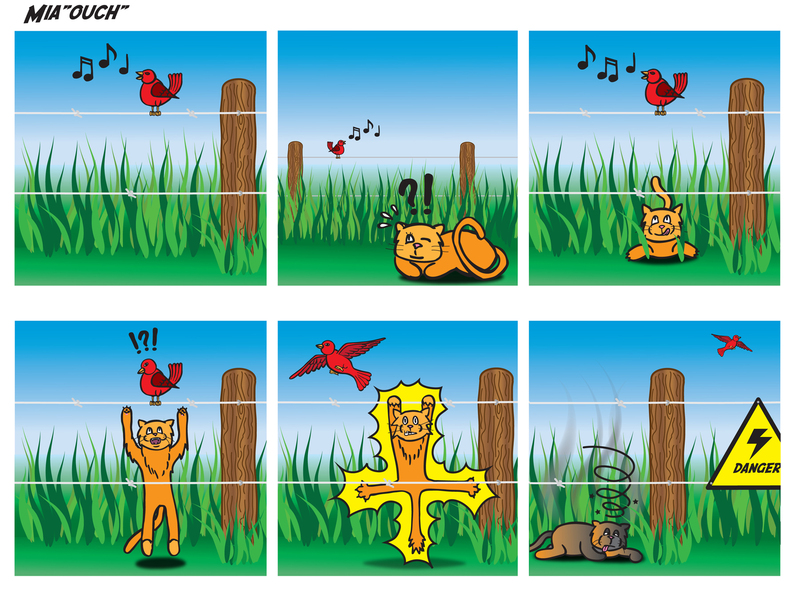 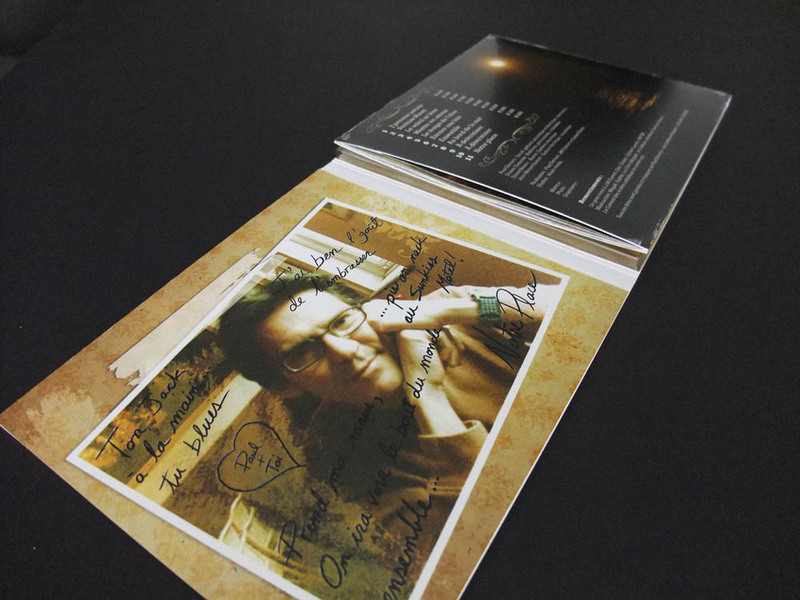 See my previous blog entry for more details about the design of this album. 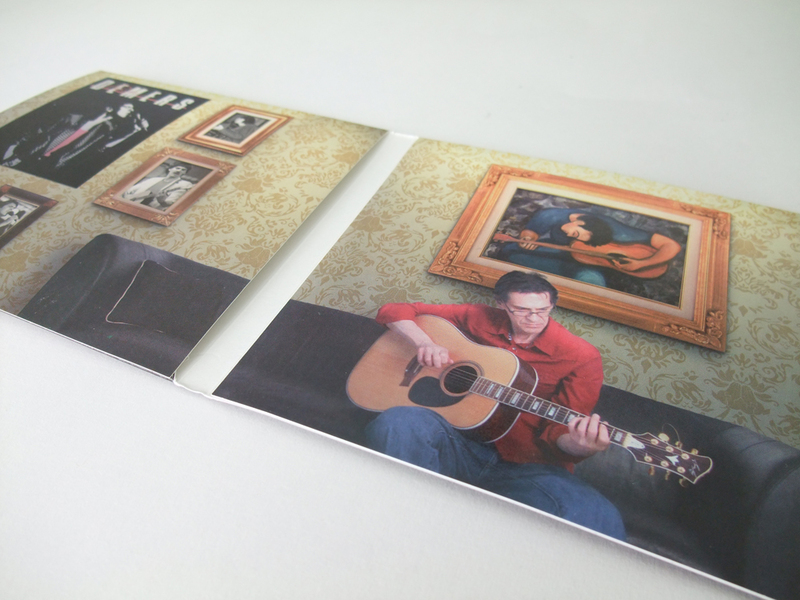 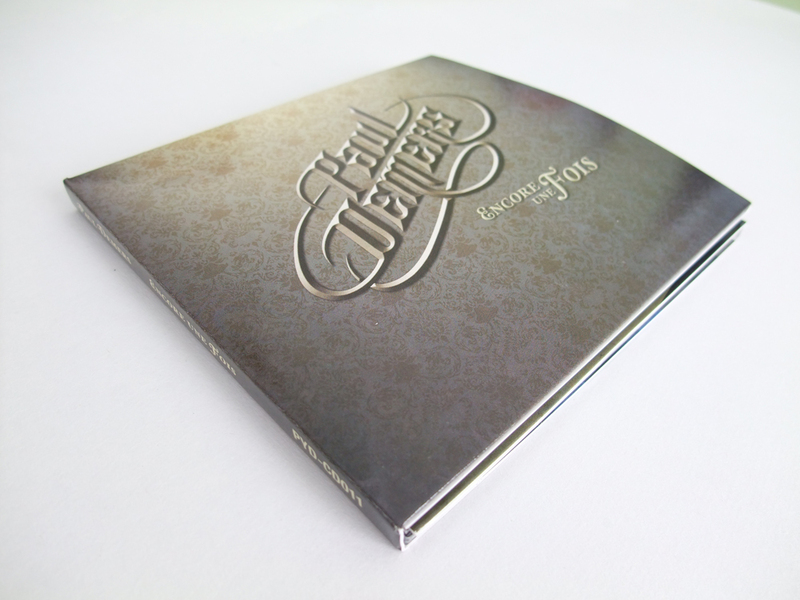 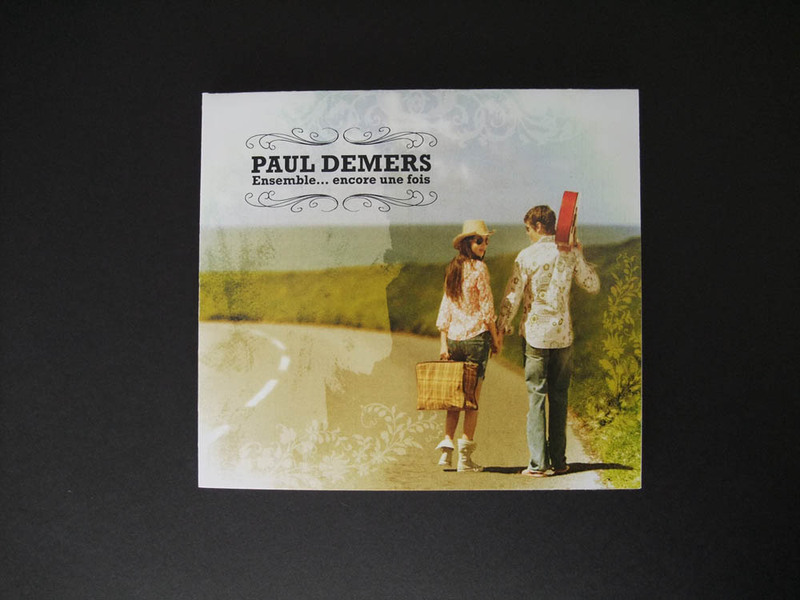 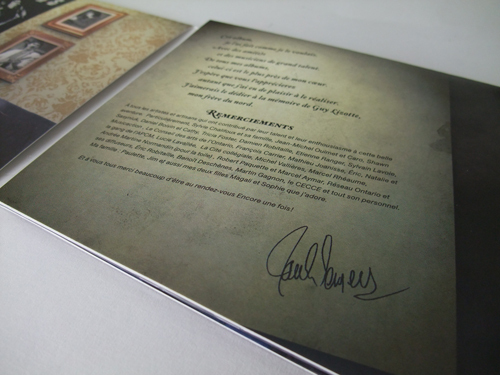 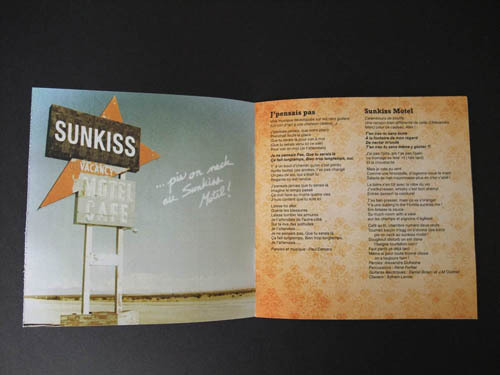 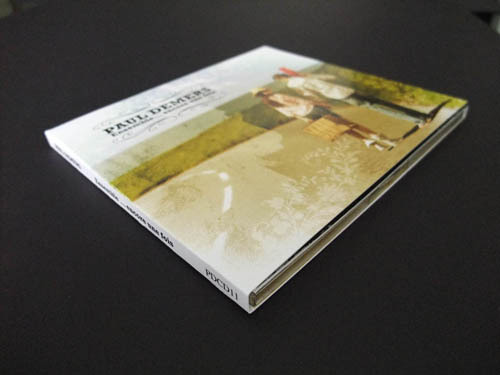 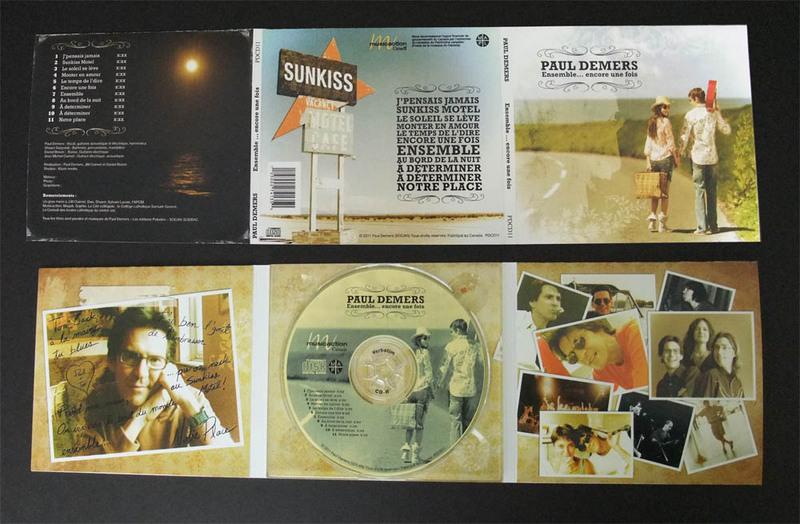 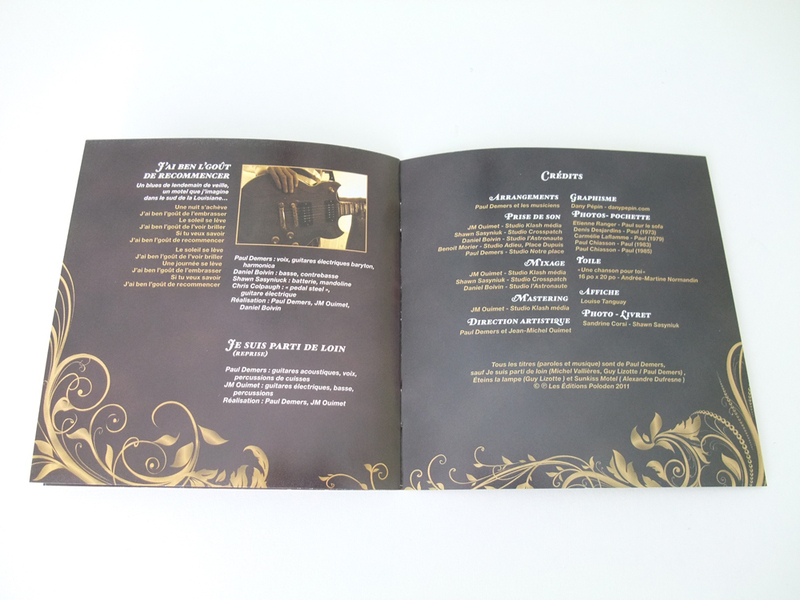 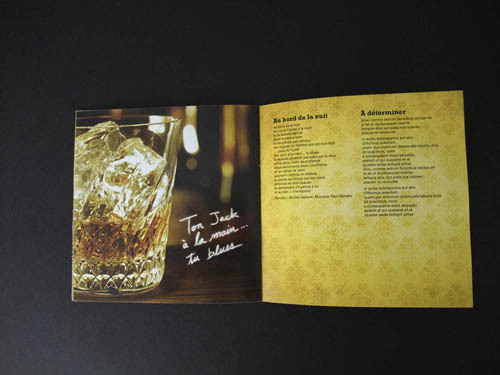 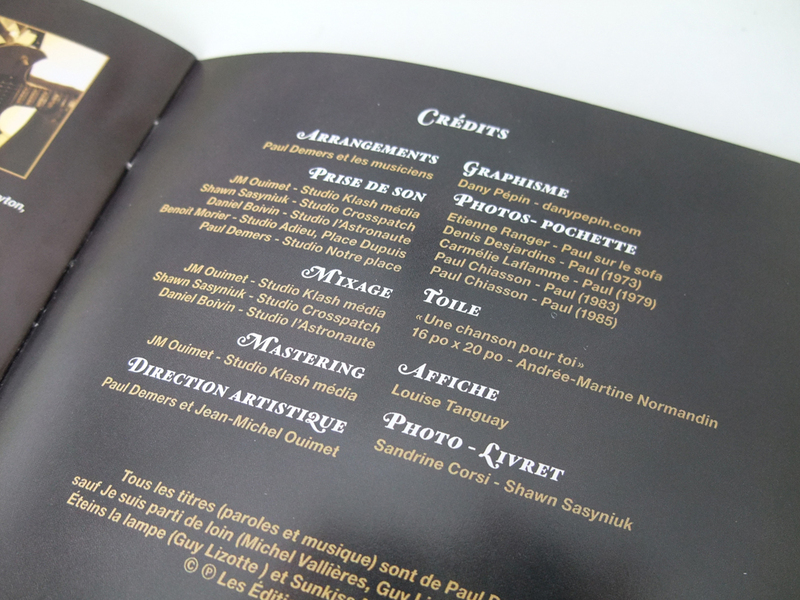 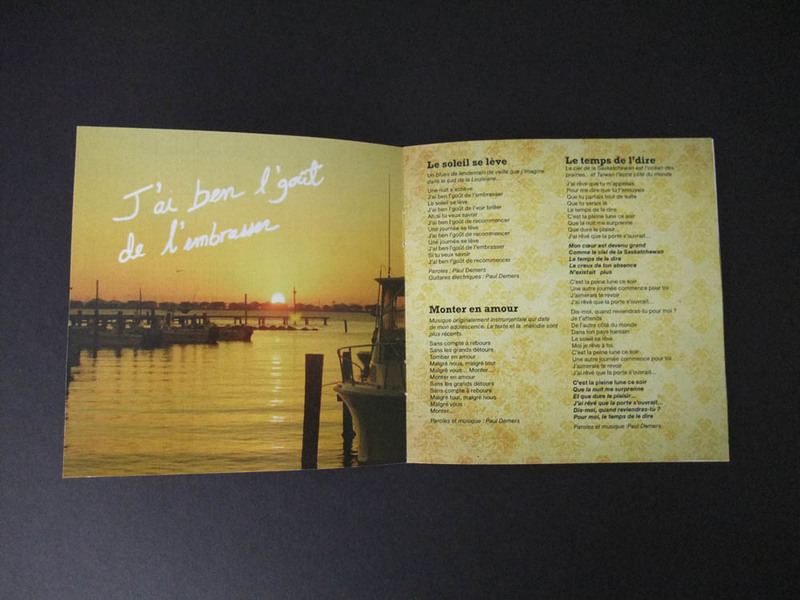 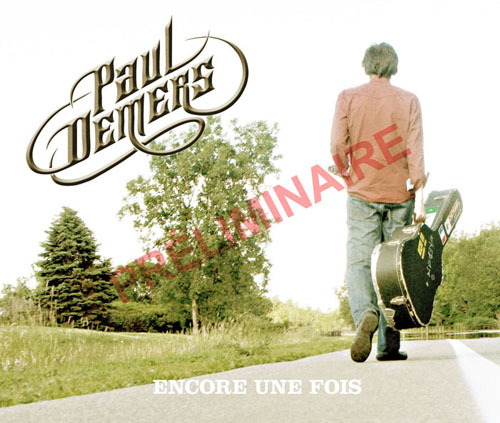 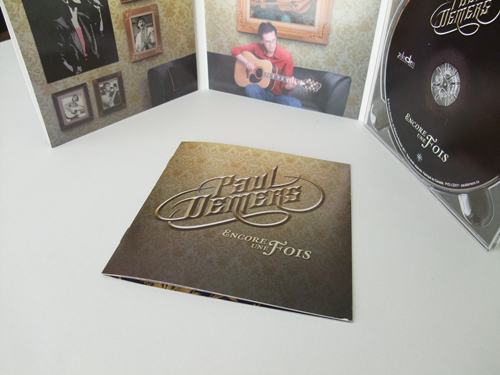 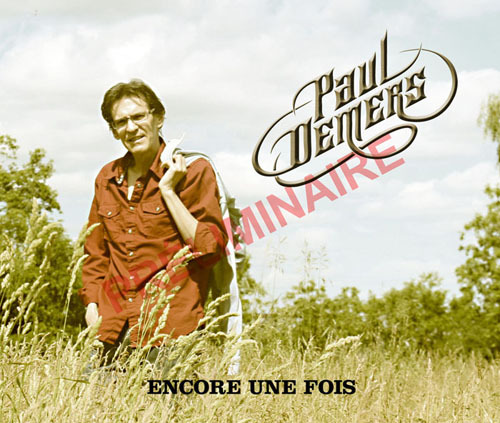 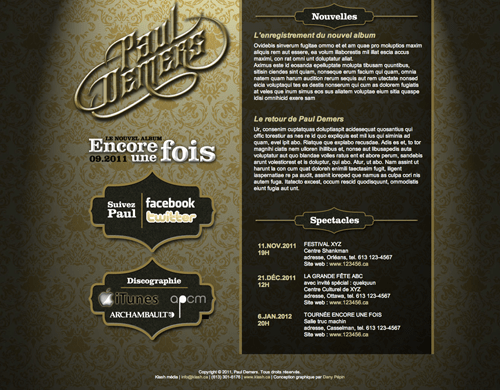 French Canadian and Singer/songwriter Paul Demers asked us to design his new music album and promotion products. 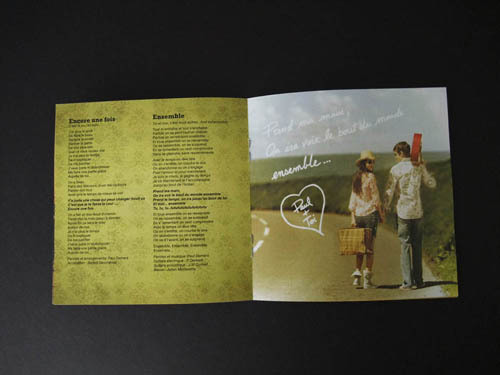 The theme of his album (at that time) was the endless circle of love : The conquest, the love, the break-up. We had access to early recordings of his new album alongside the lyrics of most of his new songs. 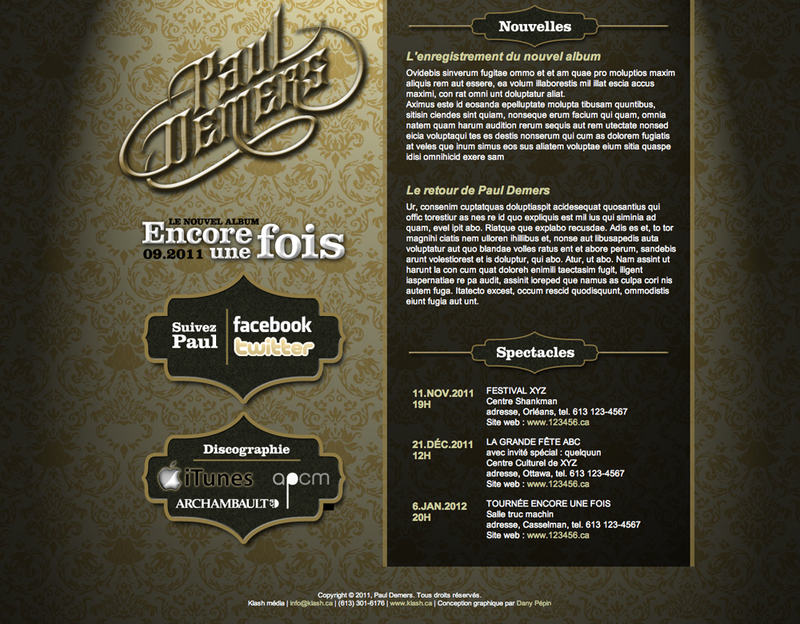 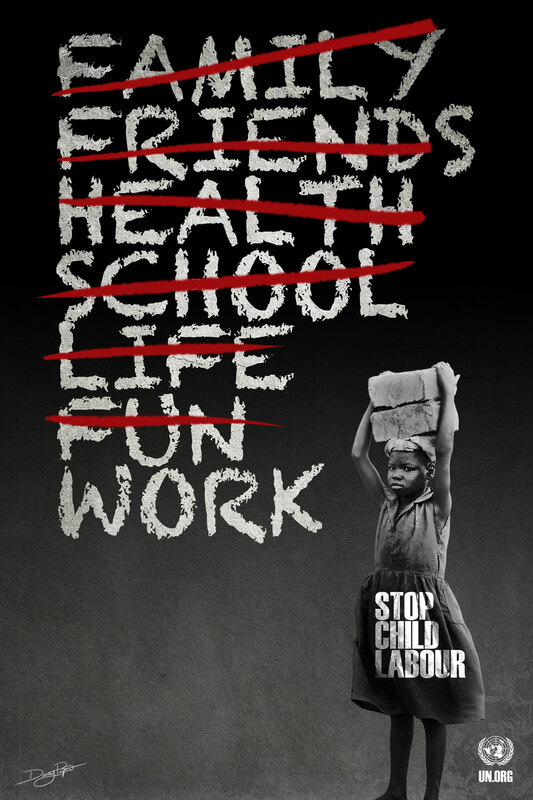 Below is the final school project which got me chosen to do his new album. But the NEW album design is completely different from what’s below since Paul changed his concept later on. 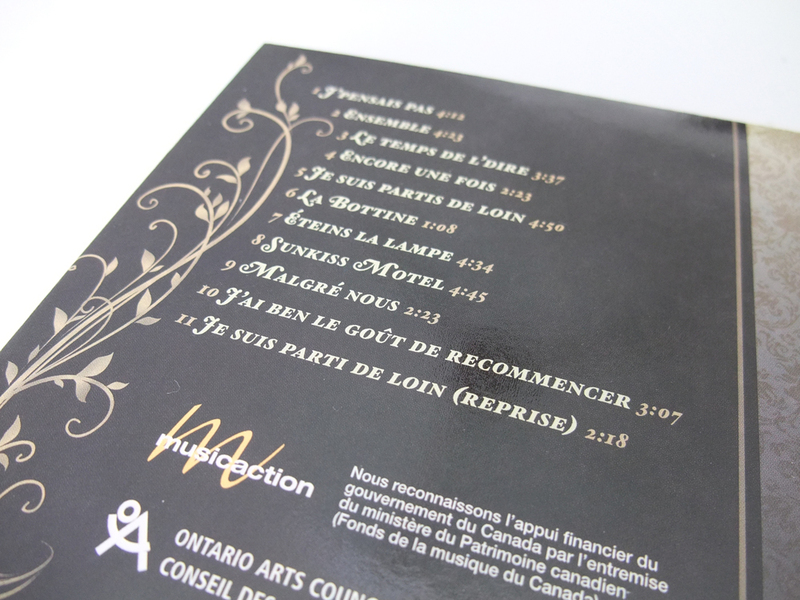 I will add a blog entry when the real album comes out.